The post-processing intent is somewhat surreal, resembling a photorealistic painting. 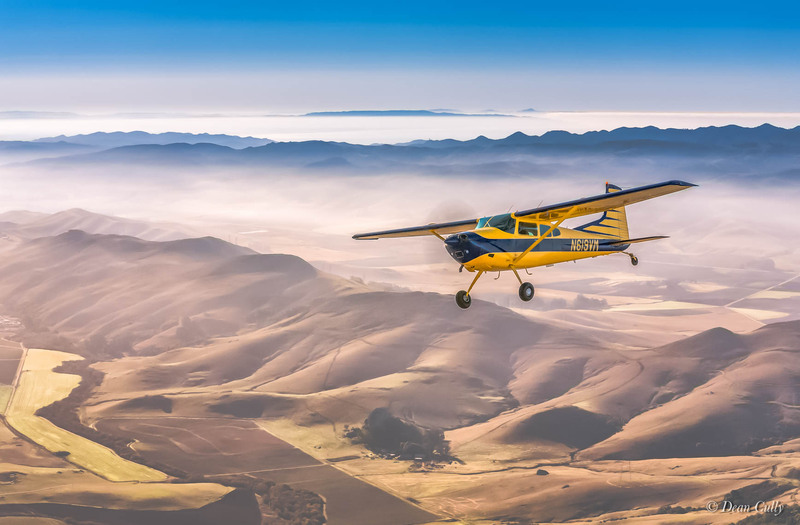 The photograph, however, is not cut-and-paste; this Cessna 185 and its surroundings are as otherwise photographed above Chorro Valley several miles southeast of Morro Bay, California along Highway 1. In the background is Los Osos Valley with San Luis Bay and the Pacific Ocean distant; 2007.